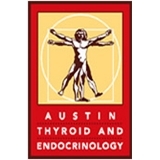 Austin Thyroid & Endocrinology (Austin) - Book Appointment Online! ustin Thyroid & Endocrinology Center is clinically led by Dr. Simona Scumpia (MD FACE FRCP), considered one of the front runners of Thyroid care in Austin, Texas and considered an expert in endocrine and thyroid pathology due to her extensive experience over many years in the field. I will like them to explain more about how they charge you for the visit? I still don't get it. The personal was ok, some wer friendly and understanding others seemed to be in a rush and treat you unkindly. Doctos Simone was kind and explained some things to me. I have an follow up next week. Let's see how it goes.